The Honolulu International Center held its first card of 1970 on January 21. What made this card unusual was that there were no championship matches. 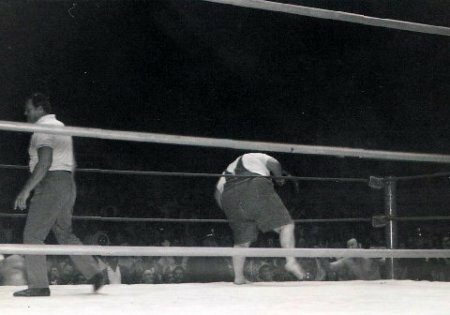 A crowd of 6500 showed up to witness the card. Earl Maynard has Fujiwara in a wrist lock. 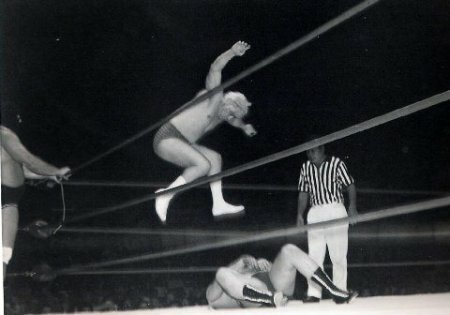 The next match was a rematch straight from the Cow Palace in San Francisco. Ed Francis signed The Masked Gladiator and Pat Patterson against the team of Ray Stevens and Peter Maivia. In the first fall, Stevens took a beating in the opposition's corner and was pinned by Patterson in 7:42. Maivia evened up the match for his team by pinning The Gladiator in the time of 17:04. The match ended in draw when neither team was able to gain the third fall. Patterson & the Gladiator work over Stevens. Patterson does the bombs away on Stevens. The main event was the team of "Murder Incorporated" Gene Kiniski, Ripper Collins, & Johnny Barend against the team of Hahn Lee, Pedro Morales, & 640 lbs. Haystacks Calhoun. 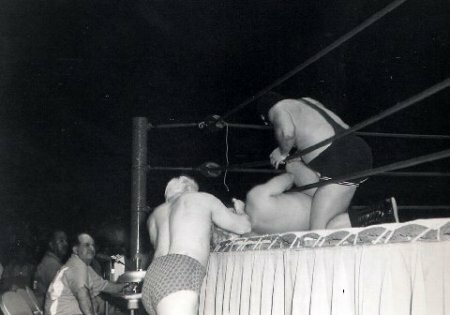 This match came about when Barend and Collins hired Kiniski as a tag team partner and challenged Lee and Morales to find a third partner for a 6 man tag team match. They hired Calhoun as the "hired gun." 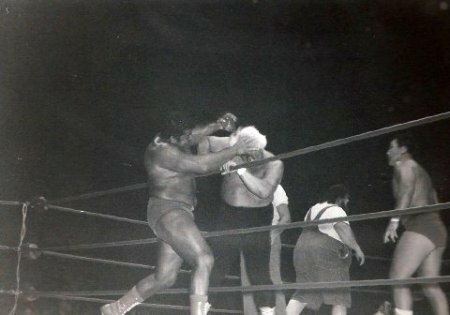 Haystacks Calhoun goes after Kiniski with a horseshoe. The first fall went to the team of Lee, Morales, and Calhoun when Morales applied the sleeper hold on Kiniski in the time of 10:18. Kiniski evened the match for his team by pining Lee in the time of 2:04. 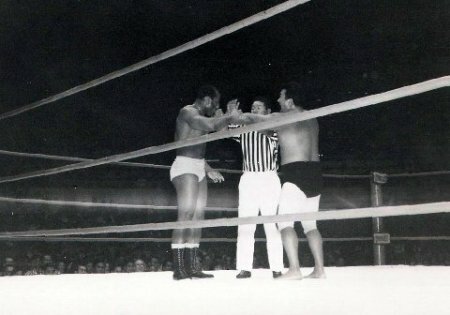 Pedro Morales has Collins on the ropes. The match ended when all members of the team entered the ring at the same time and ignored all the rules. Calhoun started swinging a horseshoe attached to a steel chain at Kiniski and Barend. Meanwhile, Morales and Lee took turns in biting the head of Collins which started to bleed. At this point, referee Pete Peterson disqualified both teams and fined each team $1000.